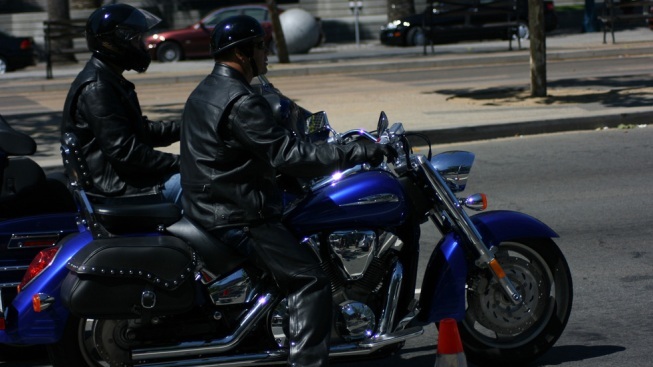 Loudly cruising the Embarcadero on your hog could get you a fine. Motorcycle enthusiasts on Harleys they've had customized to produce nearly 100 decibels of unmuffled motor mayhem may find their Sunday driving in San Francisco interrupted by the local cops. Police have been trained to identify the signature sound of a modified muffler, and can issue tickets or even impound bikes that continue to flout common decency when it comes to noise pollution. Speaking to the San Francisco Weekly, San Francisco Police Sergeant Bob Guinan specifically noted out-of-towners who cruise northeastern neighborhoods with bikes nearly as loud as an orchestra crescendo. Except instead of the dulcet tones of Bach or Beethoven, it's the over-muscled thump-thump-thumb of gas consumption at its most conspicuous. If stopped, custom bike riders can choose to restore their muffler and face only a $25 fine. Otherwise, a first infraction will cost hundreds of dollars, and a second risks vehicle seizure. Photo by Flickr user Swami Stream. Jackson West is 100 percent behind the SFPD on this one.